Partners with The Apple Play Store and Use on Android with Google Maps. Both are free to download. It is so accurate, that you get an update that is sent to you within 5-10 meters of the device sent to directly to your phone every 5 seconds if you would like. Of course that has other settings where you can put it in a deep sleep mode and it just sends you locations every little while that you tell it to send one. It is waterproof and you can store up to a year of video footage on to the device. Key Hole Ring for Collar and Lanyards Too! This amazing device has the ability to have a help feature button or the SOS button and it sends a alert to all phone numbers that you programmed in and the manufacturers monitoring equipment. This means that you are in trouble and need assistance and this app can do that for you. You can also do a GEO fence this means that your GPS tracker for dogs will be set up to send an SMS message two phone numbers that you designate if the tracker leaves the area that they are not allowed to leave. It also alert you if the tracker is over a certain speed limit that is set by the user in case your pet is being chased, attacked or has gotten in a car with a stranger. You will know all their habits, activities and leisurely lounging around. It makes pet ownership so much simpler with a cat tracker and dog tracker. 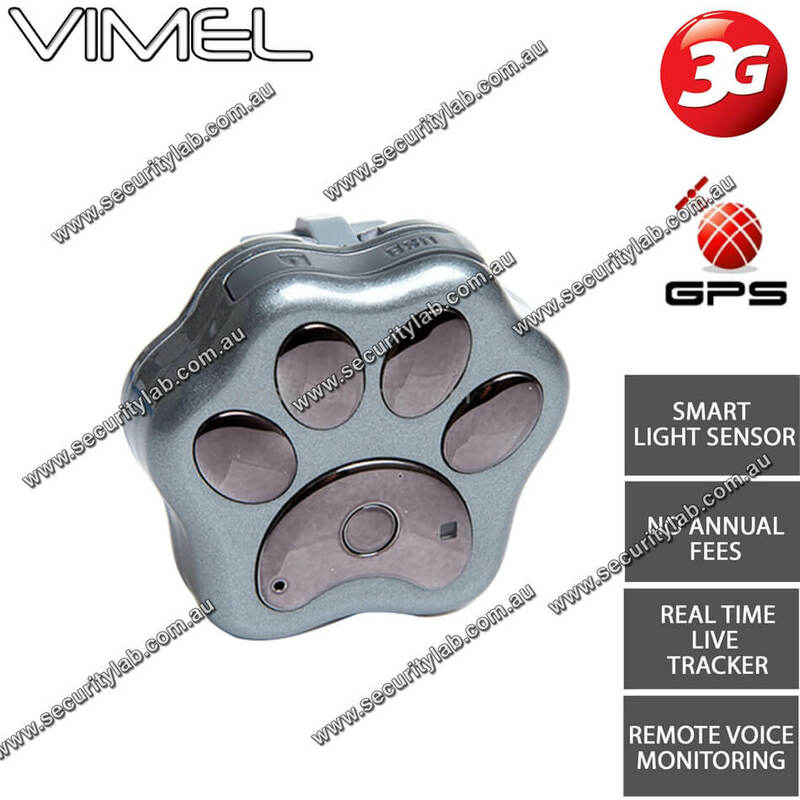 New 3G GPS Tracker - Hardwired + Rechargeable BatteryVIM-3G-GPS is a mid price range high qualit..